It looks like the price has finished the fourth wave inside wave . 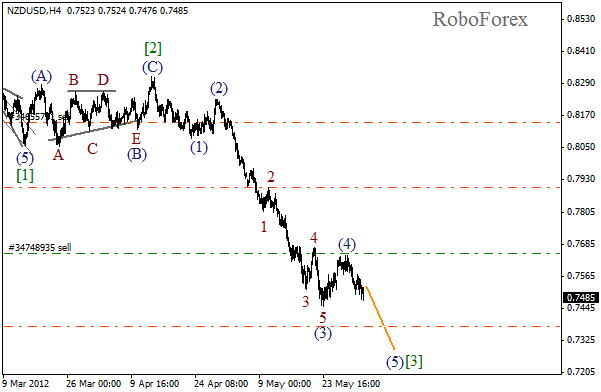 Currently the market is forming wave (5) and slowly moving towards the local minimum. Take Profit on both sell orders is placed at the end of the fifth wave, ‘cause after it we can expect a deep correction. More detailed wave structure is shown on the H1 chart. At the moment the price is forming a descending wave (5) of . The forecast of the price movement is still bearish. The pair may reach a new local maximum in the nearest future. Euro continues falling down in wave (3). On the minor wave level the price is forming an extension inside wave 5. 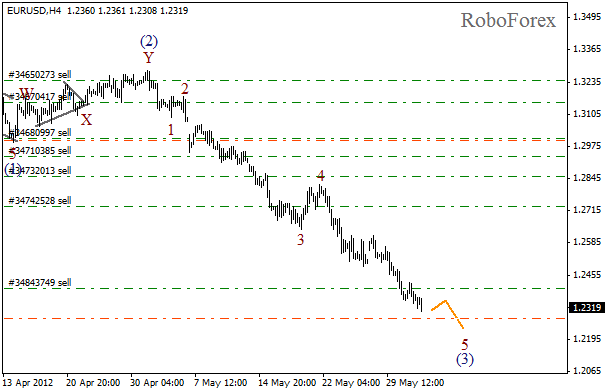 It looks like the market is finishing an impulse in wave (3). I’ve already placed Take Profit on three of my sell orders, the rest of them will be placed later. 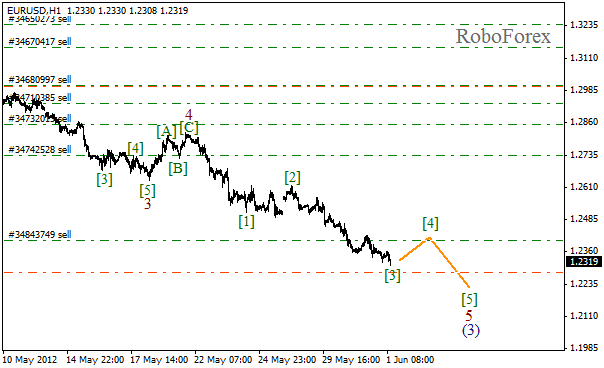 As we can see at the H1 chart, the price is completing the third wave inside wave 5. Most likely, the correction will take place in the nearest future. 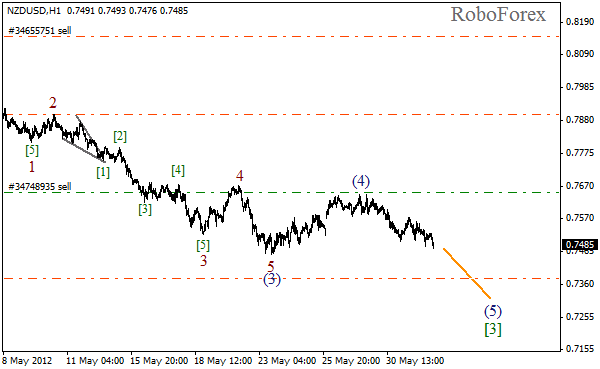 The market may reach a new local minimum while forming wave  of 5.